A company’s website is its front door in the digital marketplace. That’s why it’s crucial to make a strong first impression with a custom, mobile-friendly website design that is easy-to-use, informative, answers consumers’ questions and portrays a professional, trustworthy image. A website that isn’t generating new business isn’t doing its job. An effective online presence communicates the brand promise and engages and converts customers, forging the beginning of a long relationship. It tells your leads what it’s like to do business with you and makes it easy to start a conversation. Don’t believe that any website will do, or your company will lose online market share to competitors who invest in a strategic presence. Website visitors take only a few seconds to determine whether a business is worth their time—so rely on a web design expert that will showcase your brand with a strong image that converts those leads into paying customers. 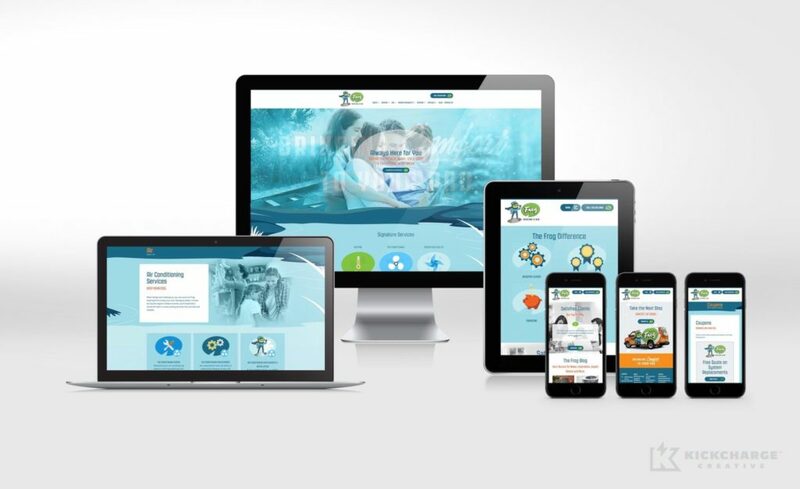 KickCharge® Creative is an NJ web design company that designs, writes and builds mobile-friendly websites to distinguish small businesses from their competition and spark sales. Every company is unique, so there’s no excuse for cookie-cutter services. We tackle every website as a unique service, not a commodity. Our custom website designers in NJ believe a branded website that tells a company’s story through a distinct voice and consistent, professionally interwoven graphics is a powerful tool for grabbing visitors’ attention, guiding them through the sales funnel and making an emotional connection. That’s why the company logo design becomes the foundation of our custom web design strategy—to reinforce your brand identity and value proposition, just like in vehicle advertising. We start each website project with one of two options: a fully customized site or a streamlined approach to which we apply branding and tweak to meet the company’s specific needs. No matter which option you choose or what industry is your realm, we approach your website’s site map, look and feel, functionality and content with a fresh strategy to address your customers’ pain points and ensure a positive user experience. 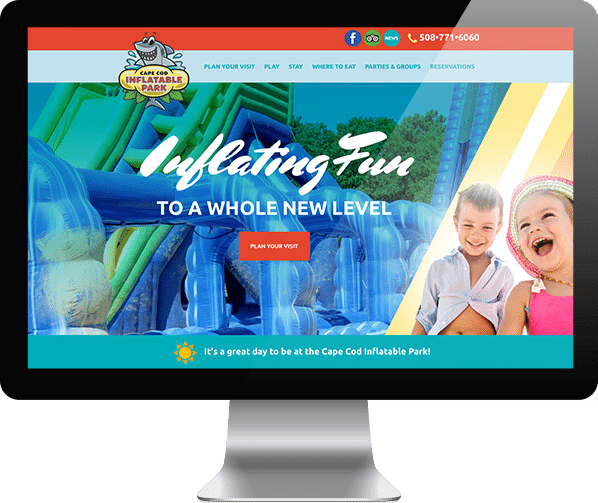 Beyond their vibrant, branded designs, KickCharge Creative websites are easy to navigate on any device or screen size with clear calls to action that encourage visitors to contact you. With our New Jersey web design company, the process of building a website begins with your answers in a creative brief, followed by our research. We use this information to develop a site map that determines the pages on the website and how they’ll be organized. Then we focus on what the home page will showcase. 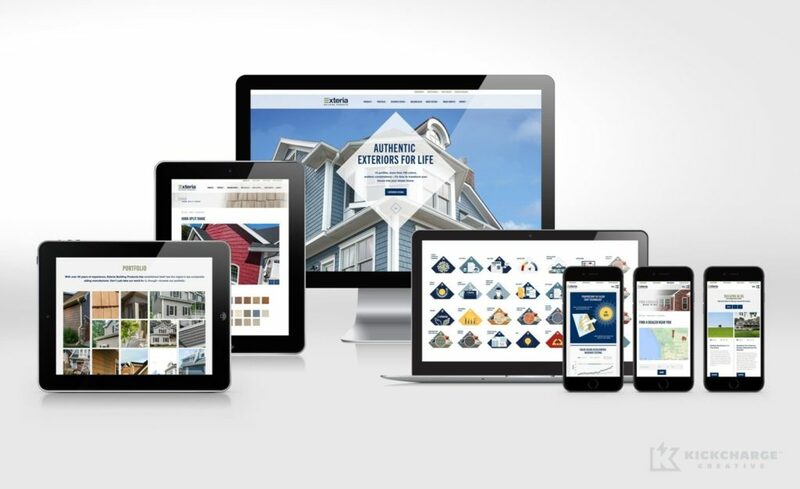 While our expert writers are busy composing search engine-optimized (SEO) content that walks the reader through the buyer’s journey, the design team crafts a beautiful home page, followed by thoughtfully designed inner templates—all with well-integrated branding. Throughout this process, best practices for user experience are at the forefront, with your feedback and input requested and carefully applied. We have an arsenal of stock photography that we leverage for inspiration when designing your website. If you have your own images available, we’re happy to implement them. Custom photography lends a personal touch to your small business website. The pieces come to life during the development phase, when the most up-to-date applications, tools and techniques are applied for the best website performance. Website development services by our NJ team account for all factors influencing speed, a mobile-friendly experience, search engine optimization and traffic data collection. Custom WordPress web designs by our NJ agency always are built with responsive design, catering to the ever-growing audience of visitors using mobile devices or tablets rather than desktop computers with larger screens. We also design, develop and integrate e-commerce capabilities, customer portals and customized interactive features that make it easy for our clients to do business. Upon completion of your site, you will own all rights to the website assets we’ve created and will have complete access to your WordPress content management system, hosting account and Google Analytics dashboards. We even train you on how to manage your website. Not all web design companies in NJ or elsewhere extend these same courtesies, so beware. The ease of publishing and updating information helps you improve your search engine rankings, since search engines give priority to websites with fresh, unique and dynamic content. Whenever you need to refresh your pages, newsletters, service descriptions or photos, you don’t want your CMS to be a blocker. WordPress also has standard plugins for managing SEO components such as metadata. Custom WordPress web design makes it easy to expand your website’s capabilities with features such as polls, customized contact forms, ratings, social media integration, commenting platforms and more. Hundreds of plugins are available so you don’t need to hire a web developer to build these tools from scratch. A branded, SEO-friendly website is an essential tool in the marketing toolbox for contractors, just like vehicle advertising is an obvious necessity in HVAC marketing strategy. Our web design company in New Jersey offers a full complement of services to drive traffic to your new site, including content marketing and blogging, search engine marketing, email marketing and social media management. 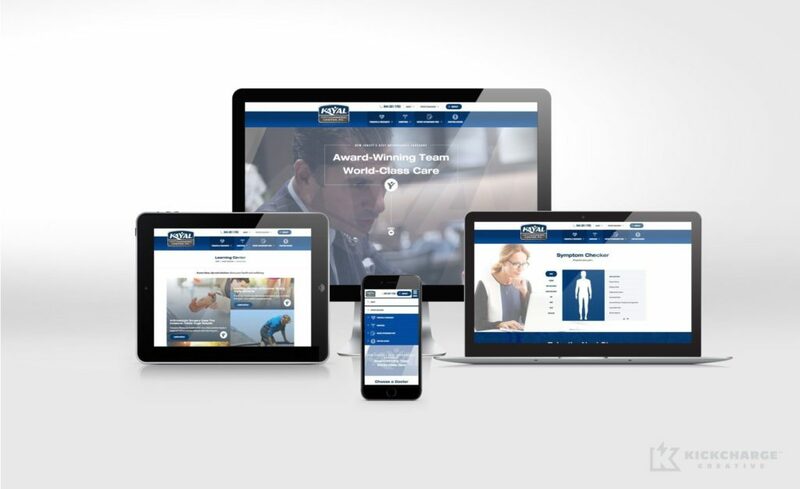 To learn more about our custom web design and website development services in NJ or how we handle marketing for plumbers, logistics companies, medical and health professionals and other small businesses, contact us online today or call 800.836.4666.